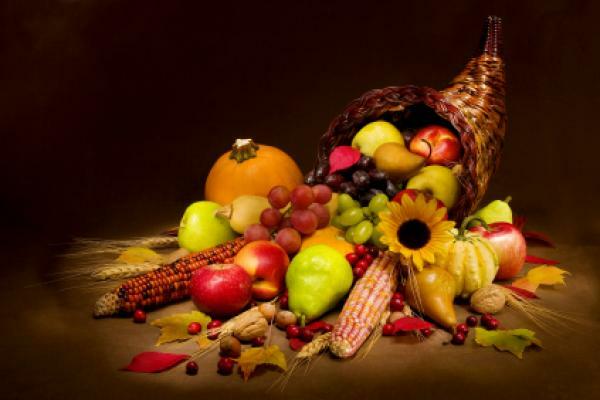 John F. MacArthur writes, in his article The atheist’s Thanksgiving dilemma, that “Thankfulness is one of the distinguishing traits of the human spirit.” Many of us certainly know this feeling. Ironically, the article is subtitled: Whom to thank when there’s no recipient? MacArthur goes on to write: “We furthermore perceive that we are indebted to (and accountable to) a higher power than ourselves — the God who made us. According to Scripture, everyone has this knowledge, including those who refuse to honor God or thank Him.” This is a classic example of the logical fallacy known as Begging the Question. MacArthur assumes that Scripture is the word of God, of whom everyone is supposed to have knowledge. MacArthur is undoubtedly thankful he’s not burdened with logical thinking. Every new & successful example therefore of a perfect separation between ecclesiastical and civil matters, is of importance. MacArthur then delves into the realm of probability when he quotes Nobel Prize winner Jacques Monod: “Pure chance, absolutely free but blind, is at the very root of the stupendous edifice of evolution.” MacArthur claims this means that chance has “the power to determine, order and cause everything that happens.” MacArthur fails to notice the contradiction between blind chance and determination. MacArthur also claims that chance has no power to “design an ordered universe.” That’s because the universe is not designed. There is an innate need for the human mind to believe in things that actually exist in reality and not just in our own imaginations. The atheist is a constant reminder to the theist that his beliefs could be imaginary. In an attempt to to buttress his belief in God, the theist quotes Scripture, without realizing the question-begging illogic of this action. After all, the starting point for atheistic materialism is the equation nobody times nothing equals everything. What could possibly be more irrational? Making up an imaginary being to account for everything would be more irrational. Making up more claims to support the original claim piles irrationality on top of irrationality. Science provides much more compelling answers to both the origin of the universe and the origin of species than the answers provided by a young-earth creationist like MacArthur. Whenever MacArthur, or a member of his family, is sick, he does what any atheist would do, he makes a bee-line for that bastion of Methodological Naturalism, viz. science-based medicine. When it comes down to saving his miserable life, the theist’s beliefs in immaterial causation miraculously disappear. H/T: Austin Cline, Dana Hunter. This is a good description of another circular argument. Scientists have difficulties arguing against them. Of course facts do nothing to dispell delusion. my grandmother and grandfather used to tell me stories. Man, that was some human catastrophe. It affected both until the day they died. It must have been horrible. The sad part is that it was unnecessary. many people today dont have that memory. Zeus protect us if we ever have another event like that. Science provides much more compelling answers to both the origin of the universe and the origin of species than the answers provided by a young-earth creationist like MacArthur. Are you satisfied by the papers on the origin of intelligence? I do not think that current notions of biotic evolution are capable of answering it alone, I think it requires much more consideration of abiotic evolution to understand it. There is too much religious faith in pop evolution today.